Xinjiang's Kashgar Sunday bazaar Uygurs (Uighurs). 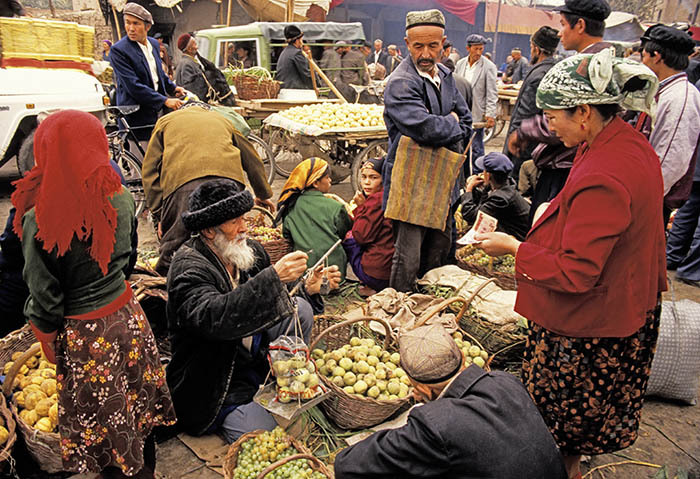 Caption: Xinjiang's Kashgar Sunday bazaar Uygurs (Uighurs). Comments: Dennis Cox has been photographing China since 1976. His ChinaStock files, which also include the work of several Chinese photographers, covers all aspects of the country including historical images and cultural relics.